Each project we feature here in October will have at least a little pink on it. and the kickoff to our October Release! and paired it with pretty flakes from Bring On The Snowflakes. and added a little blue at the bottom. Have you seen our Sale Section? 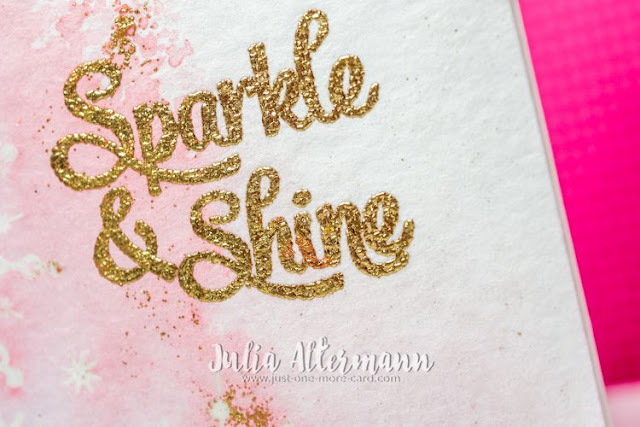 This card sparkles and shines! LOVE the design!! !